In Part 2 of my conversation with Warren Hansen, we'll dive deep into the Winter Olympics. Warren will share how curling came to be a demonstration sport in 1988 and the efforts involved to secure status as a full medal event in 1998. You might be surprised to hear how it was nearly dropped, because of a Canadian, and may have been saved by a Japanese billionaire. Warren will also address the controversy surrounding the Curling Trials for those Calgary Olympics and the clash with Ed Werenich. He'll return to the 1974 Silver Broom and explain how it shaped his future. Warren shares the challenges of putting a Brier in an NHL arena, creation of the Continental Cup and Mixed Doubles, the "Brier Boycott" era and his thoughts on the modern game. Warren Hansen loves curling. Growing up in Namao, Alberta, it was a passion rivaled only by football. Warren played and coached for several years with the Edmonton Huskies of the Canadian Junior Football league, but eventually curling took centre stage. It became more than just a seasonal endeavour as a player, it became a path for his life's purpose. From Brier winner with Hector Gervais, to coaching, event management, media relations and Olympic training and development, Warren has covered it all. Frustration with his experience at the 1974 World's along with a constant rejection of new ideas (such as pre-game practice, uniforms and officiating) drove him to help transform an eccentric winter pastime into an Olympic medal sport that could be respected and admired by a wider audience. In Part 1, Warren shares his thoughts on Hector Gervais and the circumstances that moved him from a player to a builder. He'll explain why, in the early days of teaching, flat foot was promoted over the tuck slide. He'll provide an insiders view into the 1980 Labatt Brier and the transition from its original sponsor, the Macdonald Tobacco Company. For more information on Warren Hansen, "The Brier" by Bob Weeks is essential, along with Jean Sonmor's "Burned by the Rock". 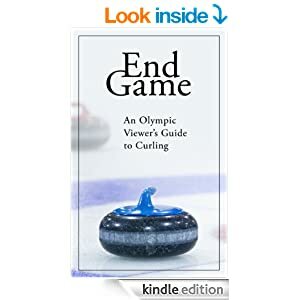 Warren authored his own book, "Curling: The History, The Players, The Game" in 1999. You can also check out Warren's interview with Gerry Geurts from a few years back. Art Lobel was born near Virden, Manitoba, then started curling as a teenager in Winnipeg...except he wasn't very good. He was actually more skilled at target shooting. Eventually Art made his way to Quebec and his curling improved. Quite a bit in fact. Art qualified for the Canadian Mixed, then appeared in 5 Briers for Quebec, first with Bill Kent (originally from Virden) and later with Jim Ursel, who hailed from the same Winnipeg high school Art had attended. Along with their front end of Don Aitken and Brain Ross, they would win the Brier in 1977, held in the Velodrome in Montreal. Soon after, Art made his way to Ontario, where he would go on to appear in six Canadian Senior Championships, winning three. He tacked on a couple of Canadian Masters (60+) to boot, winning one of them. Art shares some of the early days of sliding rules, tales of curling in rural Quebec, the first push broom brought to a Brier, timing an "iron" rock and the discovery of "drag". You can read more about Curling Legend Art Lobel and the Ursel rink of 1977 in "The Brier" by Bob Weeks. The 1972 Brier where Art, playing third for Bill Kent, placed second, can be found here: https://youtu.be/6x2B_1ShAZo?t=10m9s. I know the Womens Worlds just finished and the men are getting underway to decide the global champion of 2016, but I want to talk about the Elite 10 and match play. Let me begin by stating I really like match play. I enjoy competing in match play golf. In fact, given my propensity to spray a drive and balloon to a triple bogey on occasion, it's always nice to pick-up your ball and move to the next hole knowing you are still in contention. I enjoy watching the WGC World Match Play (with PVR) along with the Ryder and President Cups. Suggestion for those fathers out there, a great idea to plan your vasectomy around a Ryder Cup weekend so you can nestle into a couch with a bag of pees and watch it all without interruption. When I heard of the idea to put a match play event in curling's Grand Slam I was intrigued to see how it would unfold. I wasn't sure if it would sell to the players and fans, but after two seasons I'm clearly buying. Others, however, may not be as interested. Some posters on CurlingZone found Gushue's winning draw to the button as a gimmicky end to a gimmicky event. To those naysayers, heed the advice given to me on my own displeasure with Skins and the Continental Cup. It's OK that something exists, even if you chose not to watch it. Mixing things up in what is becoming a crowded tournament schedule can't be bad for business, can it? As long as players will travel to participate and fans want to watch, we should be able to find one week on the schedule for curling match play. With only two Elite 10 match play events completed, we have a very limited sample size to start a detailed analysis. However, since there were so much percentages thrown around on the Rogers broadcast and from other writers, as the curator of "Curl With Math" I felt it was important to share some numerical thoughts in order to protect my turf. Everything that follows is based on an assumption the odds of any given end result in a halve (blank or take one), a steal, or a deuce (or more) each occurring 1/3 of the time. Early during this year's event, a graphic showed that steals were slightly more prevalent, and later in the week deuces seemed to make a comeback. Overall, if we use 1/3 for each outcome it gives us some indication of what we are looking for, and make my calculations fairly simple. After a decade or so, perhaps we'll have enough data to be more precise, though even 10 events is a small sample size. From what I observed, the reason for more steals than "regular" curling appeared to be a result of teams often attempting a risky shot for two and missing, rather than playing for a halve and losing hammer the following end. This may not always be the correct strategy and I suspect over time we might see less steals and more halves. Oh, and sorry for those of you who call a halve a "carry over". It's not. Nothing is carried over to the next end, not even the hammer. Sorry to be the annoying kid who has to correct everyone, but I've been that way since I was 8. The mound is 60 feet and 6 inches (not 60 feet) from home plate. A "best ball" tournament is not where you pick up your ball and hit from the best spot, that's a scramble. In poker, you can't bet money (or a car) that isn't on the table or lose the hand because you are all in (something that occurred in nearly every movie poker scene up until Rounders in 1998). And an end or golf hole that is tied is "halved", not carried over. Carry overs happen in Skins. Teams that are ahead will also likely adjust strategy, and the potential of a steal should reduce (and increase chance of a halve) as a team gets closer to a win. For example, a team 2 up playing the 6th end is less inclined to try a miracle shot for two if they have a simple shot for a halve and chance to be 2 up with 2 ends remaining. Again, we don't have enough data to verify the specifics and using a 1/3 for each possible outcome made my spreadsheet much easier. I was able to generate two charts that we will use for our analysis. The first chart shows the odds of winning (Win Expectancy or WE) given each situation. The second chart shows the probability of each situation occurring. Unlike "regular" curling, a team starts the game with an equal chance at victory. A team winning the first end in match play moves to WE = 67% which is less than taking a deuce in "regular" curling (WE=74%) but more than blanking the first end (WE=61%). A team that goes up two ends moves immediately into a dominant position at WE=83% or greater. Notice at the halfway mark (4 ends remaining) a team 2 up is at WE=88%. This is comparable to 2 up with hammer or up 3 points without in any other event. What appears close on the board (I'm only 2 ends behind with half the game to go) could in fact be a reason to change channels. Looking at Chart 2, you might notice the situation of up 2 or more ends at the break occurs 37% of the time. That means over 1/3 of games are very close to being decided just over an hour into the contest. The 6th end will be played 95% of the time, so broadcasters can bank on 90+ minutes of coverage, but the 8th end is only played 50% of the time. With a draw of three games, that means 12.5% of the time, all games will wrap before the final end and 37.5% there will only be one game that reaches the final frame. By comparison, the 2016 Brier had around 25% of games failing to reach the last end. After the 6th end, only 54% of games are tied or 1 up. That means 46% of games are either over (or virtually over) just 3 quarters of the way through the game. Every game starts "tied" but odds of this close situation occurring drop quickly, from 1/3 of the time the very next end to just over 20% by the 5th end. Being down 1 end with 3 ends to go (WE=26%) is close to being down 2 with hammer with 5 or 6 ends remaining. The 1 up situation doesn't go above 80% until the last end, and ultimately creates entertainment at any point in the game regardless of the outcome, assuming you don't mind draws to the button to determine the winner. On the topic of draws to the button, I'm mixed. Depending where you fall on this debate, having the Elite 10 semifinals and finals all result in draws to the button was either the most dramatic and exciting finish of the season, or the hokeyest final weekend in curling history. I like the format that round robin games are worth more if won in regulation and a loss from a draw to the button still gains a team points in the standings (a la NHL Hockey). Unlike hockey, I don't think an overtime end with 3 (or 2) players would create more excitement. During the playoffs, however, I might prefer some type of extra play to determine a winner. The issue with a single extra end is the question of who gets hammer. If the odds of a steal, halve or deuce are actually 1/3, then the result becomes equal, except that it's likely not (a team tied with hammer in this situation can adjust strategy to their advantage) and 1/3 of the time the end is halved, and the game has to continue. Perhaps two extra ends, giving each team hammer once, and then only going to a draw to button if needed, could create a fairer contest, but we still end up with final draws to the button often and Sportsnet will be clamouring for an end to the broadcast by this point. The idea of no sweeping on the next attempt, should both draws cover the pin, really doesn't sit well with me as it fails to account for the team aspect of the game and adds too much uncontrolled risk to the proceedings. No perfect answer here on final draws or assessing the level of entertainment value. On removing stopwatches (no), locking up brooms (maybe) and thwarting the tick shot (yes), but continuing to tweak the rules and format each iteration to test play for both this event and curling as a whole, a resounding yes. The games might run short and often finish early, but the format puts rocks in play and scratches on skips foreheads. If match play is only one event in what is becoming a full 8 month curling season, ask yourself, why not? If you listened to my brief interview with Dean Gemmell of The Curling Show podcast and this is your first time here, welcome. It was my first time meeting Dean in person and gave me a chance to praise him for his fantastic skills as a podcast host and contributions to curling. He's been at it many years and only seems to get better each time he breaks open the microphone. The top four teams we expected to challenge at the beginning of the week were there at the end. The semifinal was an entertaining game with an anxious measurement, reminiscent of the 2012 Scotties semifinal between Nedohin and Jones. In both cases, the difference of a millimetre or two resulted in a National Championship for Alberta. The Championship Final included a 7th end that appeared out of a skins game. After thirds stones every rock was in play. Not what you often see from Team Koe when up with hammer. The result, after 3 time outs and team deliberation on several shots, an eventual clinching three points for Koe to go up 7-3. So much for blanking odd ends with hammer. Gushue's comeback in the 1 versus 2 game was a shocker. Jacobs was 24-1 when up 3 points with 5 ends remaining. Not sure the in-off attempt was their best shot choice in the 7th end. A very difficult shot with little margin for error attempting to score two when a soft hit on shot stone may have gotten Northern Ontario a single or at worst hold Newfoundland to one. If Jacobs cuts Gushue to a steal of one and takes a tie with hammer into the final three ends, their Win Expectency (WE) is 65%, but with a steal of 2 they dropped to 39%. Score one point and NO has an 81% WE. There was no imperative to score 2 points in this situation. Then again, ice conditions in that spot may have been an issue and Jacobs may have felt there was a better chance to score with the shot he called. Parking was painful. My parents live in Kanata, possibly in the most western tip of Ottawa and driving to Lansdowne Park to the TD Place Arena was relatively painless if you avoided rush hour, but parking was not easy. Bus services were available along Bank street, enabling you to travel from your overpriced parking lot to the event. I discovered a bus from Kanata that could have taken me right to the gates, except, as the women I spoke with from OC Transpo explained, it only runs for special events. By this she means RedBlack football games and not Canadian Curling Championships. Not a big deal for most out of town guests but because of the parking pain, my parents may not have gone to more than one draw if I hadn't been visiting. This could have been an issue for other local attendees. Curling Canada's Angus McBreakAndEnter may have a magical portal to the event, but everyone else has to get there on their own. TD Place Arena, previously the Ottawa Civic Centre (approx. 10,000 seating), was built in 1967 to replace the Ottawa Auditorium. My father told me how he and his older brother (my uncle Al) used to walk down Bank street from downtown to save 5 cents on bus fare to watch hockey games. In 1948, my uncle walked back home without my dad (then 11 years old), who was left to sleep in the mayor's section while he was locked in the arena. That same type of family dysfunction follows me to this very day. The arena had leaking problems a few weeks before the event and I'm not entirely certain it was the best building for curling ice (warm and humid temperatures created frost problems later in the week), but the size of the venue seemed to properly fit the size of recent Brier audiences. With the exception of having to step outside to grab food from a truck (though nothing beats poutine from a poutine truck), the Patch location could not have been better. It was held in the Aberdeen Pavilion. Built in 1898, nearly demolished in 1991 and most recently renovated in 1994, it is just a few steps from the North East gate of the arena. I correctly guessed it was used for cows. In fact it's nickname was (and perhaps still is to some) "Cattle Castle" because of the many agricultural shows it hosted. It is also the oldest surviving building in which the Stanley Cup was contested (1904). Hair brooms being banned from play meant teams were limited in their ability to battle the frost during play. This likely needs to be addressed for next season. I hope some type of hair solution can be found that doesn't contribute to directional sweeping. On the topic of sweeping. This might go down in the history books as the Brier with an asterisk. Most players, coaches and fans all seem to agree something more needs to be done to curb the impact of sweeping to put back the premium on shot making (and not shot adjusting). One hall of famer mentioned to me it was "offsides" and teams may as well use a hockey stick to stick handle the rock down the ice. We also need to consider teams have only been implementing these techniques for a few months. With more practice, what level could this reach by the 2018 Olympics? I spoke to Mike Harris who sees this could be an evolution in the sport, and that the maneuvering of rocks (ie. improved placement of stones and sweeping for curl) puts more emphasis on strategy, but we all want this to be within reason. I tend to agree that some directional sweeping itself may not be a problem, but the ability to correct poor shots is not something we want. Perhaps a balance can be reached. For Worlds the directional technique can't be used, players need to sweep across the path. Haven't found anything definitive online on what this actually means and not sure how it will be policed, but all eyes will be watching to find out. More on the World Curling Federation. One rumour I heard was the WCF had rejected a new material submitted by Balance Plus. A material that was in fact the exact same one (from the same supplier) submitted by Hardline and approved as their replacement for the flipped IcePad. If true, it implies their testing techniques are not yet foolproof. Further material discussion. Talk of several BP teams using different heads on their brooms at this event. I'm going to avoid getting any deeper into this topic but will state that I always support a team that will do what it can within the rules of the game to win. This behaviour isn't new to sports and nothing less should be expected. Ideal gas law not withstanding. What is troubling in all this broom controversy is the behaviour of some players just a few months ago and the animosity that bubbled in an otherwise respectful sport. Calling out other players as cheaters was clearly premature and we now have seen that technique is as much of a concern as the fabric (or hair) itself. I suggested to coach Jon Mead that Mike McEwen, a rep for Hardline, may have been impacted by the broom battle and it was reflected in their results earlier in the year. He agreed, mentioning Mike is a thoughtful guy who takes things to heart and ultimately wants to do what is best for the game. He also said there are players out there who still owe Mike an apology for what has been said in the past. Jacobs decision to pull the Brent Laing burnt stone in their round robin game is something most every other skip at the Brier would have done. As another future hall of famer mentioned to me, it's bad sportsmanship to pull a draw that gets tapped as it's stopping in the four foot, another issue entirely on a peel weight shot that's 25 feet from its target. If the tap had come a few feet earlier, prior to the hogline, Jacobs would not have had a choice, it's suppose to be pulled immediately. The reason the rules allow for the option by the non-opposing skip is to deal with an intentional burn that would benefit his team if it had not been touched and removed. What it also does, unfortunately, is place the team in the courtroom of public opinion. Not many sports where a non-offending team gets put into this position. Rather than be critical of this anomaly (like many posters on CurlingZone), I appreciate this unique aspect of our sport, even though I empathize with teams who are put in this position. Relegation came and went with fans thankful there is only one more of these pre-Brier fiascos to go. It just doesn't seem like a Brier without all the yellow hats. Bluenosers watch the Draw 1 "play-in" qualifier game anxiously. Nova Scotia would go on to lose to Team Jaimie Koe of Northwest Territories and miss a second Brier. With Warren Hansen's announced return as a consultant to Curling Canada, we can only wonder what the 2018 Brier format could be. If you read Warren's article from the December 2015 edition of The Curling News, he advocates a Brier in two parts to take place over 9 or 10 days. A 14 team field in 2 groups of 7 to determine a single entry to a 7 team round robin (a la Canada Cup) against Team Canada, Canada Cup winner, and other Slam winners and/or CTRS points leaders. Interesting concept that I see some merit in, but limiting it to one qualifier makes the entire first portion of the event less, ah, um, eventful. If the Brier goes this route (and I hope it doesn't), I'd recommend 3 or even 4 teams come through the 14 team portion, otherwise there seems to be very little point. On drinking rules that make no sense, a fan who had attended the Scotties in Grande Prairie told me they were required to open the cap on water bottles before leaving the bar. No word if they were limited to two per person. Many examples of teams positioning their hammer in even ends and trying to play the scoreboard. After the Sunday morning draw where scorekeepers ran out of zeroes and a Friday morning game between Newfoundland and Northern Ontario that ended 4-1 with 6 blank ends, some fans are wondering if curling needs newer rules to make it more entertaining. I have a few thoughts on this that I'm leaving for my article in The Curling News. Stay tuned. Wrapping up my week of work and heading to Ottawa tomorrow morning, but just enough time to look back at a strange call from the Scotties Final and a look ahead to what could be the most competitive Brier in history. This was the first year of TSN expanding coverage of the Scotties (as they did with last year, and now this year's Brier). There are too many games on my PVR to catch up but from what I've seen so far there is a sense of strange strategy throughout the event. I'm not sure if this was attributed to new sweeping techniques (and over emphasis of their impact), the condition of the ice, or just my imagination. In every game I watched it seemed there were 1 or 2 calls that did not make sense. I don't have the time to go through everything, but here were a couple of key shots. In the semi-final, Jennifer Jones chose to hit a rock in the eight foot rather than draw to the four foot. She even mentions the hit felt like the easier shot. Ultimately, she rolled too far and McCarville stole 2 to go up 1 into the last end. In a vacuum, this call makes no sense. McCarville's 2nd and 3rd shots are full twelve foot and all Jennifer has to do is at least bite the eight foot to give up a steal of one and be tied with hammer coming home. To believe a hit was easier implies the ice was not conducive to making any draw and perhaps not up to the quality it should have been for the Scotties final weekend. Krista choses to hit on the nose to sit second in the top twelve foot (green line) rather than attempt a double on the two Alberta stones (blue line). She mentions that by hitting on the nose she'll force Chelsea to draw with the inturn. Perhaps it was an unknown path, but all Carey needed was (take note Jen), to bite the eight foot for her deuce. I don't understand why, if she intended to surrender the deuce, she didn't just blast the rock out of play and take away any risk of a jam. If Krista was worried about jamming on the double attempt, it was just as likely based on the shot she attempted. The promoted stone missed the back yellow by one or two inches. Maybe she felt confident her sweepers could keep it straight, but didn't Jennifer's rock over curl in an almost identical shot the previous game? If you don't like the double, I also like the call to hit the back yellow stone, attempting to roll partially behind the top yellow stone and put more pressure on Carey's final shot. In the end, Krista made a riskier shot than she needed to get to the same result, a deuce, when a similar or possibly easier shot could have held Chelsea to one. Recent posts on the Curlingzone forum suggest this is one of the toughest Brier fields in history. Not sure it's the hardest to win but may be the toughest "field". If you were one of the other 11 teams during Kevin Martin's 2 year run in 2008 and 2009 (26-0) you might say it was the toughest Brier ever, because there was no way you were going to win. 2016 may, however, be the deepest. Glenn Howard is ranked 5th according to online betting sites. You can't even blame the entry of Team Canada; take out Simmons (odds have them ranked 7th) and it still might be the toughest field ever assembled. 1995. Burtnyk, Martin, Hackner, Folk, Werenich, Heidt (with Dacey). Seven teams 6-5 or better. Two more were 5-6. Five teams had 7 wins or more and made the playoffs. 2001. Burtnyk, Ferbey, Hackner (past his prime), Middaugh, Dacey, Hemmings, Harcourt and Sullivan's were no slouches either. Seven teams were 6-5 or better, two more at 5-6. 2009. Martin dominates a field that includes Howard, Stoughton, Gushue, Menard, R Howard, Dacey. You could call 2007 through 2012 the Howard-Martin-Stoughton years, with one Koe thrown in during 2010 over Howard. The big three dominated over that period. I think Ottawa has the most wide open field in some time with many teams either nearing their potential peak level (Jacobs, Koe, MacEwan, Gushue), one who may be getting close as well (Laycock) one fallen from their mark but still grinding (Howard), one a wild mess that showed they can do it despite adversity (Simmons) one who can make shots but hasn't been able to put it all together (Cotter). A tough Brier out (Menard) and up and coming squad (Casey). Howard is 68.7% since 2010 but only 41.9% (13-18) since 2014 against this lineup. Only McEwen (37-18), Koe (27-23) and Gushue (28-21) are better than .500 since the last Olympics. Jacobs is at 49% (25-26). Simmons 43.3% (13-17) and Laycock is 20-30 for 40%. Cotter is the only team below 40% (32.1% at 9-19) in that time frame. Gushue has shown the best improvement since 2010, jumping 22% in winning percentage the last 2 seasons. Howard has seen the greatest drop in winning percentage, 36.6%. But it would be hard to keep up the 78.6% he had from 2010/11 to 2013/14. Laycock and McEwen have improved around 14% in winning percentage while Jacobs and Cotter have been flat. Howard was 14-2 against Gushue between those Olympic years, but 1-5 since the beginng of last season. McEwen has a winning record in all match-ups, except Howard (6-13 and 3-3 since 2014/15) and Simmons (8-13 and 2-3 against the true Simmons/Morris skipping duo). Gushue is 14-13 against Jacobs since 2010/11 including 6-3 in the past 2 seasons. Jacobs only has winning records against Howard (4-3) Laycock (4-2) and Cotter (5-1) recently. Howard had his number in the previous 3 years (13-4). Laycock is 5-1 against Simmons, but that one loss was an extra end defeat in the 3 vs 4 playoff in last year's Brier. Pinnacle has Saskatchewan at +965 to win it all this year. Sounds tempting but that equates to nearly 10% and that sounds high. My gut tells me they may not be ready to win it all. Cotter appears to be a huge long shot out of this bunch, but +2138 isn't high enough for me. I'm not making any predictions. It's too damn hard. There are also too many stories to pull for; I can't even cheer for one team over another. Howard the old man miracle. Koe abdicates his throne as skip of Team Canada only to return two years later and reclaim it. Saskatchewan wins the Brier after a 36 year drought (no one mentions this enough). McEwen makes the first time a charm. Simmons 3-peats. Gushue finally comes through in his lucky 13th attempt. If you can't be in Ottawa, enjoy the expanded TSN broadcasts and don't let Angus MacBreakAndEnter of Curling Canada make you feel guilty about not being there. Both teams already knew their travel plans for early March before the first rock, but the Manitoba Provincial men's final still had all the tension you'd expect for McEwen's first Purple Heart. Mike and his squad didn't want to remove one asterisk: Best team to not have reached the Brier, only to have another added: Brier appearance because winning team chose to decline invitation and play in World juniors. Both rinks played like winning the Manitoba Buffalo was as important as winning any Grand Slam or Canadian Junior title. Matt, son of Dean and grandson of Jim surely understood the historic significance, even if an actual trip to the Brier would (likely) come in a future year. Some discussion before the event on whether Dunstone should be allowed to participate in the provincials. Clearly they were playing looser than their competition, and if they had won could have tarnished the legacy of the Brier bound team. But the opportunity for them to gain experience and exposure, building toward mens, is more valuable to the game than it is a detriment to their opponents. One benefit of lighter zone playdowns across the country, it gives more opportunities for up-and-coming teams. Look for my upcoming article in the Brier edition of The Curling News for more on this topic. Unfortunately, this entire curling season may get an asterisk before too long. The directional sweeping was in clear form throughout mens playdowns and demonstrated that the standard hair broom of 40 years ago could be more of a problem than any synthetic device. Apparently the hard wooden top combined with thinner hair brushes allows for added pressure and higher effect from the directional micro-scratching, not unlike the insert that has been outlawed in the IcePad. A meeting of the World Curling Federation was held with suppliers in Toronto in early February with speculation the hair broom will be the next to be removed from competition. The swingy ice in the Alberta provincials, combined with hair brooms and single snowplow sweeping technique, led to several hits on rocks that were over buried! Teams (Charley Thomas in particular) were sometimes throwing softer weight hits on runbacks, no doubt in order to take advantage of directional sweeping and increase the chance at a nose hit, keeping the promoted stone in the rings. I don't want to belabour the broom issue further, but if rules and equipment changes come into effect next year (and based on my observation, I hope they are), this season will sit in history as a strange outlier. A year when curlers managed to take devices which were decades old and use them differently to create perhaps the greatest controversy the sport has ever seen. It still shocks me that through all of the testing and study of brushing leading to the Vancouver Olympics and the countless games in years past with 2 sweepers on the same side or one sweeper when a player was absent, and we still never figured this out. Then again, it took NBA coaches and GMs over 30 years to realize that 3 points is better than 2. If the great Larry Bird shot threes like Stephen Curry and Klay Thompson, his stats could have been off the charts and his Celtics may have won more than 3 Championships. SportsNet is getting even better at their coverage and Jeff Stoughton did a fine job during Manitoba provincials. But why the %^^& does SportsNet have to jump around from game to game on one channel and screw up my PVR? I recognize some people don't have all the East, West and Pacific channels, but I'd expect those fans would prefer to see an entire game than just the first 4 ends, even if it meant missing another contest. Carruthers is down 2 (3-1) with last rock in the 6th end and chooses a difficult double (green line) rather than draw for a single (blue line). Win Expectancy (WE) if Reid draws for a single is 20%, and he likely expects it's even lower given the level of competition. A deuce would increase WE to 37%. There's some chance he could remove both stones and his shooter spins out, leaving a single anyway. The rocks appeared to be possibly too flat for the portion of target he could see, but at this point the risk is likely worth the reward. Carruthers needs to make a deuce about 1/3 of the time and get held to one another 20%, for this to be the correct call. Just not sure the shot was there. Reid rubbed on his own stone, gave up a steal of 2, and now we will never know. In the 4th end, Koe is down 1 and has a possible draw for 1 (blue line) but chooses instead the slash double for 3 (green line) with the last rock of the end. He makes it and goes up 4 to 2. Let's look at this from a Risk Factor. Some slight chance Koe only gets one or two (if the yellow in the back eight doesn't leave the rings), but let's assume he either makes and gets 3 (WE=75%) or hits guard/too thin and gives up a steal of 2 (WE=13%) and sometimes jams for a steal of 1 (WE=25%). A draw for 1 gives WE=38%. His Risk factor with a make = .75 - .38 = +.37 and a miss could be -.12 or -.26. I don't mind the call in a vacuum and I expect Koe believes his most likely miss is a jam leaving him only 2 down with 6 ends remaining. But given his team's level related to Bottcher, it's not a shot he needs to take in this situation. You could argue that tied without hammer and 6 ends remaining, Koe is much higher that 38% to win the game. More broom behaviour. Rather than draw for 1, Thomas attempts to hit a completely buried rock on the nose in order to get two. It jams and Koe steals one. Broadcaster Kevin Martin explains this is a shot no one would likely have attempted even a year ago. In the 5th end, a hog line violation leaves Thomas with no free corner guard. After a few peeled guards, he attempts to aggressively freeze during the end rather than clear the Koe stones (with a straight forward double) and get a blank. Kevin Martin repeats his TM mantra about keeping hammer in even ends. I'm not one to often argue with the Old Bear but his continued stress on even ends does not correlate to the actual statistics in Win Expectancy. Having said that....I don't agree with the decision because the result is still likely a blank. These teams are just too skilled at blasting rocks and combined with the action in the house a perfect freeze usually gets removed from play. The strange decision is on third Nate Connolly's last shot, Charley calls for a come around on a single Koe stone in the top eight foot, rather than an open hit to lead to a likely blank (WE=23%). At this stage, the likelyhood of scoring a deuce (WE=39%) is very small and the risk of being forced (WE=20%) is too great to bother taking the risk at this stage, whether it's heading into an even end or otherwise. It's not as poor a decision as it looks, with a force only surrendering 3% with potential gain of 16% WE, but the chances of a deuce here seem highly unlikely, less than 5% perhaps. Charley may have felt that given the competition, he needed to press every chance possible, even if it was a low percentage play.